Dr. Nexhmije Kusari was born on January 23, 1959 in Gjakova. Elementary and high school has completed in Gjakova. In 1997-1984 she completed studies at the Faculty of Medicine in University of Prishtina. From December 1984 she started her practice at the General Hospital in Gjakovë and then until 1990 she worked as a general practitioner, continuing on further dermatology specialization in the Dermatovenous Orthodontic Department in Gjakova. From 1993 to 1994, she stayed at the University Clinical Center in Nis where she was successful specialization from the branch of dermatovenerology, working in the ward of Dermatovenerology in 2001. She went to work at the Ku-med Clinic for several years. Leading many trainings for advanced cosmetics from various firms. She then completed vocational training in Turkey, Macedonia, Greece, Italy for mesotherapy, fillers, Botox and PRP. During her period worked on makeup – dermatologic Guinot – Paris Institute, for face and body treatments up to March 2017. 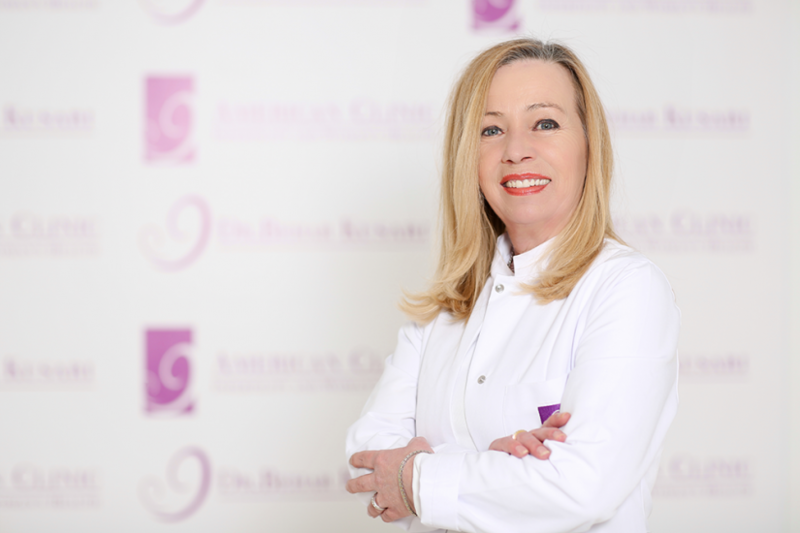 After all her baggage in the field of education and work experience, Dr. Nexhmije Kusari from March 2017 has continued her professionalism at the American Clinic as Head of Dermatology, offering professionalism and experience to all patients who receive it services from the Clinic. The American Clinic remains the Clinic that carries within itself specialized doctors for the delivery of quality services. We are privileged that part of the Medical Staff is Dr.Nexhmije Kusari.